What can I do to help my friend who has cancer? I share that conversation here, because I am asked a question just like hers, often. Those who follow my work tend to be more educated than most, about the problems with the cancer industry and Western Medicine in general. As well as how diet contributes to the cancer epidemic. People who have pre-educated themselves are far more likely to ask sophisticated questions, if they ever face “The C Word.” And they are likely to venture outside the highly restricted, proprietary treatments of the oncology industry that I refer to as “Standard of Care” Medicine. They are more likely to see cancer as completely different than an invader or a foe to be vanquished, which is how the oncology industry sees it. This is not how functional (root-cause) medicine sees cancer, at all. Folks who are have already had significant exposure to other modalities and schools of thought are more likely to understand why alternative cancer treatment can be exceptionally effective. Not only at getting on top of the aberrant growths in the body, but also in restoring equilibrium and health for the patient who wants to live many more decades of healthy life. Those of us who know a lot about cancer options outside “Standard of Care’s” oncology industry, are often anguished, when people we love refuse to look at anything but the radiation and chemotherapy they are offered in the oncologist’s clinic. I hope sharing this conversation helps you in understanding the psychology of a cancer patient, and helping those in your life who will be diagnosed. This is an important conversation, with 50% of American men being diagnosed with cancer, and about 40% of American women. Like you, dear reader, I have lost many people close to me, to this terrible disease. People I love, right this minute, are, as the cancer industry calls it, “battling” the disease. But I’ve also been studying cancer for 25 years, and I’ve traveled to 19 clinics all over the world, interviewing the world’s best functional medicine doctors, and studying what they do, what works, in helping cancer patients heal. I’ve also met and interviewed many cancer survivors—some of them who beat Stage IV cancers decades ago—and many who are in treatment. I’ve asked them detailed questions about their experience, to learn from them, and then share with you, in my 200+ posts on cancer, and alternative cancer treatment plans, over the years. We will all face the cancer issue, in one way or another, in our families and communities. Heather: Hi, I’ve been following your work, including your world-wide cancer research, for many years. I have a friend who has been through four courses of treatment, and was never open to anything else that I brought up. She’s been sent home to die, though, now. She’s been given a few months to live. How can I help her? Me: You can hold her hand, show up for her, and be there to love her. Whatever her choice is, from this point forward. Heather: She’s never been open to holistic treatment. I’ve talked to her about it a few times, during her journey. Now that she’s failed out of conventional treatment, she is listening and says she’s motivated. Me: I’ve been in this position many times. While there are many books you could suggest she read, the best resource I’ve ever seen, as a starting place, comes from my dear friend, Chris Wark. When she gets Chris’ “20 Questions for Your Oncologist” on that link, she’ll actually learn a lot, to help her think differently about her diagnosis and treatment. I used to suggest to people that they do the Gerson protocol. But the Gerson method, while very effective, is far more than just the diet part. And some of it is hard to do, on your own. Particularly when you’re very ill, unless you have a fulltime caregiver. Chris’ cancer course, Square One, is absolutely everything that I, personally, would do, if faced with cancer, and even if one of my children did. It’s incredibly well guided. It’s “Square One,” to take someone who feels like a deer in headlights, having just gotten their diagnosis, through all the emotional healing, dietary changes, and even supplements they should take, in a first stage, and then a second stage, of getting back to health. Heather: What would you do, besides give her that link? Me: Well, tell her you will follow up, in two days. When you do, if she hasn’t read it, she isn’t really motivated. At that point, it’s best to just continue checking in with her, on how you can support her. Then, do that, whatever it is. Heather: That seems like giving up. Me: I remember that I thought the same, too. Let me share an experience. Shelley changed to an all-raw, vegan diet, along with some other lifestyle changes—especially managing her stress load. She put up a website years ago about her experience, and people would reach out, and say, “My sister in law was just diagnosed—will you talk to her?” And Shelley said no. I was little shocked when Shelley told me that she refuses to get on the phone with someone’s friend and relative. I dug a little deeper with my questions. Her experience back then, 18 years ago, parallels mine exactly. You see, she told me, if people don’t already have a deep mistrust of the methods of oncology, as well as a self-taught education in what the alternative cancer treatment plans are, they simply aren’t going to do anything besides what their doctor tells them. Or, they certainly aren’t going to opt out of chemo and radiation, even if they change their diet and do a few “integrative” treatments, too. Their first meeting with an oncologist will scare the devil out of them, with the prognosis and statistics, and they will be told warm, promising things about their improved chances, if they are treated with poison and burning rays. Sadly, it’s about 4 percent of cancers that these treatments actually work for. The statistics are highly manipulated, and any “gains” in cancer treatment are generally due to the Stage 0 and Stage 1 breast cancers now being diagnosed en masse. Your functional medicine doc will tell you that the body has detectable masses several times in a lifetime, that your normal immune system will metabolize so you never even know about it. So, these breast cancer patients would have lived, anyway, without treatment. I have come to the same conclusion Shelley did, all those years ago. She is happy to talk to the sister-in-law herself, if it’s her reaching out to Shelley—rather than a concerned relative contacting her online. Heather: Can’t my friend just start reading now, and get up to speed? I mean, now she doesn’t have any more options. But like everything in holistic (or functional, or biological) medicine, your chances for success are greatest when you get on the treatments, whole-heartedly, early. First. Before you have lots of chemical damage from chemo. Burning rays from radiation, which continue to burn and mutate cells and cause secondary cancers. And that doesn’t mean there’s no hope for Stage IV patients who have been through several rounds of chemo and radiation. If they get very serious and committed to the approaches of functional medicine, I’ve seen so many of them reverse the cancer and actually get well. Heather: Can’t she do just some parts of the treatment? Holistic treatment is different from what oncology offers. One of the biggest differences is that submitting to chemo and radiation is a totally passive experience. Me: Yes. But holistic treatment is different from what oncology offers. One of the biggest differences is that submitting to chemo and radiation is a totally passive experience. Get in the chair, put the needle in your arm, take a nap, with a warm blanket over you. This feels good, to a person with a new diagnosis. The doctor will take care of me. Medicine will kill the cancer. I’m scared—paralyzed, really. A patient with a new diagnosis is led to believe she has to act, immediately. And you and I know, from lots of life experience, that when we are in paralyzing fear, it’s not a great time to be making decisions. Right? Me: The path the oncologist leads you on is very tempting. They will tell you about the common short-term side effects, like neuropathy, hair loss, and brain fog. They won’t tell you about the secondary cancers that chemo makes extremely likely (especially leukemia). You show up for your radiation treatment. The oncologist’s office is virtually always lacking in knowledge about the role of nutrition. They’ll feed you sugary processed food, while you have chemo. Wonderful, caring nurses will tend to your needs. They’ll send a Stage IV patient whose cancer is metabolizing their muscles, home with Ensure in a can. It’s what they know. Oncology does not study the massive evidence about how processed sugar, and salts and oils, and animal products, feed cancer growth. It’s not taught in medical school. There’s no insurance code to bill, to counsel patients about lifestyle and nutrition, detoxification and rehab of the immune system. So why would they? No education in it, no compensation for it. Heather: I think I learned from you that oncologists actually get money for prescribing chemotherapy. In private practice, which is most of oncology (the exception being public-health clinics a small number of doctors work for), they get a significant commission on chemo. Me: They do. In private practice, which is most of oncology (the exception being public-health clinics a small number of doctors work for), they get a significant commission on chemo. Heather: That seems like it should be illegal! Me: Agreed. I don’t understand why this practice is allowed. Giving only this specialty, oncology, compensation for the drugs they prescribe, when others cannot, creates a terrible incentive to over-prescribe chemotherapy. Oncologists are one of the highest-compensated specialties, for this exact reason. I believe it’s about 40 percent of their income that comes from overrides on chemo. 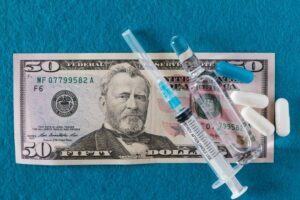 Even 10 years ago, drug companies were allowed to give cash bonuses to the doctors who prescribed the most. That has now been banned by the AMA. As it should be. But, now the drug companies just take them on incredible, all-expense-paid trips, compensating them “in kind” for massively prescribing their drugs. A friend recently told me about a small group of oncologists, flown first class, Mercedes picking them up at the airport, to take them to a $30,000 venue to watch horse racing. All of this to incentivize them to sell more chemo. Heather: So, the best thing I can do for my friend is what? Me: Love her, support her decisions. See if she is going to marshall her family to help her recover. Work with them. You could do some of the significant food prep she hasn’t likely been doing, as she’s ill from the disease, possibly–but very ill from radiation and chemo treatments for sure. If she doesn’t even read the “20 Questions for Your Oncologist” you link her to, which is a tiny step to take, know that the words she is saying, and her actual willingness to do what it takes, for a massive diet and lifestyle turnaround, are two different things. Listen to the actions more than the words. It sounds a terrible thing to say, that once you’ve entered the oncologist’s office, you have entered the Fear Machine. For 98 percent of people, even most who are holistic-leaning, they absolutely will not veer off the path their oncologist charts for them. In fact, before they even have that conversation with an oncologist, is when I love to have a first conversation with them. If I were diagnosed with cancer, I would walk into the oncologist’s office with a statement about what I do, and do not, want to hear from him. I would not want any prognostications. Do not tell me what the percentage odds are, that I will die, with or without the treatments you normally prescribe. I’ll get back with you, on my treatment choices, if my early choices aren’t working. I would say that I only want suggestions about tests for cancer markers. I’d be clear that I’m open to hearing about surgery, depending on the cancer type, but not chemo or radiation. I would be clear that I will be getting treatment within functional medicine. And if he takes issue with that, we don’t need to continue the conversation. I’d ask for my records to be transferred to someone open to just periodic cancer marker testing as I begin my chosen course of treatment. I start a conversation by asking them some questions. Rather than firehosing them with info. I want to know what their background is, how much they really know, about cancer. How much they want me to tell them, about my research about other options. If I were diagnosed with cancer, I would walk into the oncologist’s office with a statement about what I do, and do not, want to hear from them. Cancer is never really “Stage I.” It always exists in other parts of the body. What an oncologist won’t tell you, is that we all have cancer, and the difference between you and me—and a person “diagnosed” with cancer—is that their immune system has been struggling, and “down for the count,” for many years before the growth became significant enough. Before it developed a vascular system of its own and became substantial enough–that it caused the person to become noticeably ill, and get tested. An oncologist sees cancer as a tumor, an invader, something to be destroyed. The functional approach sees the cancer as part of you. And fighting it, is fighting yourself. And what is needed is a serious detoxification, as well as rebuilding a broken immune system. And lots of treatments, to that end, are available and extremely effective. More so, in earlier staging, and when the patient is highly committed, and understands why she’s doing it. I have sent my own friends and family to this exceptional clinic, in Switzerland. They get treatments by European functional medicine M.D.’s, and all their food, and lodging is on-site. But a 3-week stay at this clinic in Switzerland is, amazingly, cheaper than all the others I studied, while also being the “best of the best” in terms of quality of care. Listen to my podcast episode with Dr. Veronique Desaulnier. Episode #72. Listen to my two podcast episodes with Chris Wark. #21 and #38. These will bring her “up to speed” even more. Chris Wark highly recommends my 26-Day Detox. In fact, he says it’s the only detox he ever recommends. And this is another great step she can take, to jump-start the healing process. Thousands of Chris’ followers have done our detox, which I built from 20 years of research in what works. We love supporting them through the process. I’ve found that generally educated people, and people who were already more likely to question various institutions and orthodoxies, usually begin to seriously question “Standard of Care” treatment after they’ve been through a few rounds. Sometimes even those who weren’t holistic-leaning, at all, in the beginning, change their point of view significantly. By the time they’ve been in that “Fear Machine” for a while, they’re often pretty angry and disillusioned. If she takes these easy, early steps, to get educated–jump in and help her with food prep, research, making the purchases for supplements Chris recommends online. You can help her do a serious detox. 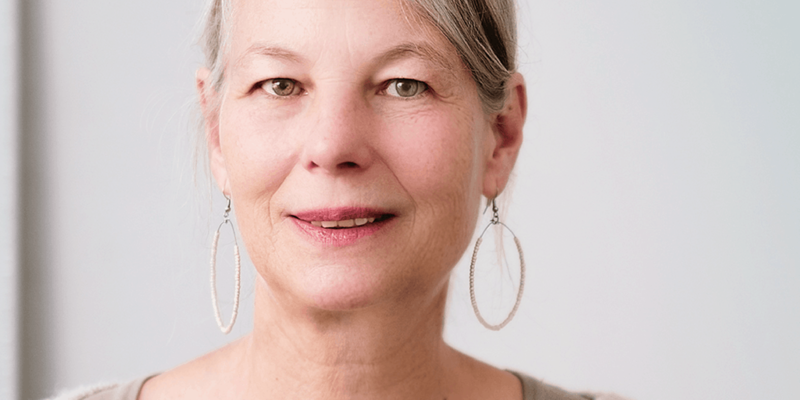 Find out what her primary caregivers need. So she can be really dedicated to the process of getting well. Heather: That’s a great approach. I don’t want to criticize her treatment choices of the past. They are in the past. I want to help her move forward. Me: Agree! One thing that is clear, from published research, is how important it is, that people need to believe in their treatment. Believing that chemotherapy is “medicine,” and could save you, is important. If you’re going to choose chemo. That’s why, AFTER they choose their treatment, I am silent about my own misgivings about this, and I just pour love and support on my friend or family member who chooses it. When they are already in chemo or radiation treatment is simply not the time to add to their already crippling fears. One of many reasons I could never choose chemo—I’d choose to prepare myself and leave the world sooner than maybe I might have, otherwise, rather than submit to chemotherapy—is that I know too much. I would not see the needle in my arm as healing “medicine.” I’d be crying, and emotionally and mentally resistant. That does not serve. Others look at that needle, and see it as agents to the rescue, chemicals that kill bad guys. Their hope at a future. Once they make that choice, our job is to simply support and love. After all, do we really have a choice in someone else’s care? If she decides to eat ice cream and Ensure, from here on out—she should enjoy the ice cream and the love of her friends. It’s just not a time for judgment, or for tearfully begging them to eat something else, do something else. If she needs food-prep help, that’s a great way you can serve. If she has metastases in her lungs and liver now, plus the massive toxicity in her body from the chemicals injected in her veins and the big radioactive exposure, her chances of survival are slim, indeed. But, if eating a diet that starves some cancer cells and helps her immune system rebuild, gets her a few more months….what is that worth? For many, that’s worth a lot. Think of trips she could take with the kids, memories she could make. Time she could spend preparing those she loves and having those meaningful conversations. 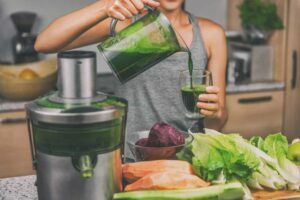 Packing your fridge with greens, root veggies, organic fruits—doing the juicing (very important, nutrition is so easily absorbed this way, oxygenating the body—cancer hates oxygen and alkalinity!) is critically important in healing from the near-total shut-down of the immune system that allowed cancer to get the upper hand. It’s not everyone’s choice. Some decide to die, and manage that process instead. –all of this is critically important in healing from the near-total shut-down of the immune system that allowed cancer to get the upper hand. All of this is covered in Chris’ Square One course. It’s far more than a diet. Heather: Thank you so much for taking the time to explain this to me. Me: It’s a great honor. It’s actually a really spiritual experience, to sit with someone you love, as they face a serious risk to their life, and find ways to support them. The ways they want. Even if their choices aren’t the ones we would make. Robyn Openshaw, MSW, is a researcher and author of 15 titles. 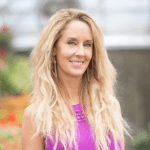 She spoke in 450 cities in 6 years, on human detoxification, and rebuilding your health using a plant-based, nutrient dense diet. You can take her free video masterclass on how to detoxify, bi-annually, for disease prevention and optimal health. Deb, thanks for reading, and for sharing. I’m so glad you did the detox. I’m always really honored to be part of a transformation process! Thank you for this article which is so well written. Debra, you concisely summed up just what needs to happen, to change one’s lifestyle to be cancer-preventative. Good job! Thank you for sharing your tough conversation and explorong the conflicts and struggles with cancer in our culture. While knowing what you know about standard care vs natural care, you were still brilliantly able to describe that the most important thing to do for friends and family with cancer is to honor, support, and love them no matter what treatment option they choose. I’m saving this for future reference to remind me of so many things since it combines all I have learned from podcasts and interviews on the subject. Well done. Very well said! I’ve been through this with too many friends now, and this is always how I’ve handled it. As much as I hate what I’m seeing in their oncology appointments, it’s never worked to try to get them to consider alternative approaches, and in the end they just want my support and love. Which means accepting their choices, no matter how hard I’m biting my own tongue. Thank you for your wisdom Robyn! I have a couple family members with cancer diagnosises and your approach would be much better received than my lectures on nutrition! Your wisdom is appreciated. Thank you so much for the caring insights you shared in this article and all the wonderful info and resources. It was right on. thank you for this frank and honest conversation, it means alot to me. Almost took chemo and radiation after having an operation for ovarian cyst but declined that gracious offer. a non-cancerous ovarian cyst, they wanted you to do chemo and radiation for? i’ve not heard of this! seems “overkill,” to say the least. Thank you again for your mission and ongoing support! Well said! Thank you, Robyn. I’ve been through the cancer journey twice with my now departed beloved–first time “successfully” with Gerson protocol and years later with a cancer recurrence (in retrospect our lifestyle changes probably were not thorough enough) she was “frightened to death” (literally) to opt for “Standard of Care” oncology. Whatever “path” a loved one chooses, supporting them emotionally/spiritually is the way through. As I consider the possibility of my own potential “diagnosis” I have to agree with Robyn’s genuine and sobering comment: “One of many reasons I could never choose chemo—I’d choose to prepare myself and leave the world sooner than maybe I might have, otherwise, rather than submit to chemotherapy—is that I know too much.” Hopefully each of us will find the inner resources and social support to live, but if not…choosing how one makes their departure may be just as valuable. thank you for sharing, Rob. “frightened to death” has so many layers of meaning. and if i ever set foot in an oncologist’s office, it would be only with clear limitations on what he was allowed to talk to me about. i’ve seen so many people whose core beliefs are eroded by that massive fear, talked into treatment they do not actually want. if they allow themselves to be ambushed by that classic conversation in an oncologist’s office. in the doctor’s mind, he’s just sharing statistics. Thanks, this really does sum it up well! I have seen this from all those angles with cancer all around me. I appreciate your website, keep doing what you do. This is exactly the roadmap I’ve been looking for. I read massive amounts of info about functional medicine, yet when someone I know knows someone with a cancer diagnosis, I don’t know where to start to help them find a track to help themselves. I will keep this article close at hand! Two and a half years ago I was diagnosed with rectal cancer Stage 3. I did the standard protocol of burn, poison and cut. I remember asking the radiologist ,”doesn’t radiation cause cancer?”. He said yes, but that would be years down the road! I have ongoing bowel issues as a result of the surgeries. It was during that time that I began to read and study and research and find out all of the truth about alternative treatments. I believe God is sovereign over all things and that my life is completely in His gracious hands, so I don’t “regret” what happened. I have started taking supplements, going Keto and getting sun as I can. What would you recommend for a next step? Thank you for this info. My sister had some pretty tough cancers. Went through chemo and radiation for a short time. That almost killed her. Then went to clinic in so cal. Got some treatments and answers. Did lots of oxygen. Cancer free now for one year. Completely Keto. Says she feels better that ever in her life. What you said in the letter helped me to get it all in the same location. I am saving this info. Wish my friends who have cancer would think about this alternative. They will not. Makes me sad. 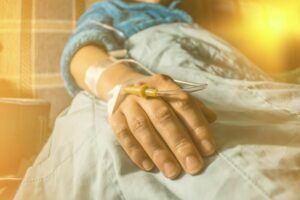 Your words about how to deal with someone who goes the conventional route of chemo/radiation with cancer made me realize that I need to be more compassionate to those devoted to the treatment. I’m learning all I can about my way of living and how to eat healthy, be active and find healing through positive relationships and eliminate stress from my schedule. It’s a challenge as so many temptations try to trip me up. My husband who has bladder cancer is a challenge as he is dedicated to doing what his doctor wants. I’m open to telling him my concerns, but so far, they have controlled the cancer with six month checkups and taking out the small evidence of cancer each time. Time to lighten up on my approach with him! Thanks for the tips. Thank you for this post. The Universe provides and today it provided your words to heal my heart. Beautifully said. Thank you Robyn. Going through this journey with my daughter(stage 4 on presentation) for 4 yrs. She chose chemo, radiation & surgery as well as supplements, food and life style changes. She is “progression free” at this time but the chemo has devastated her body. Been green juicing, smoothies, sugar and alcohol free, but gaining weight has become impossible. Any help would be so very appreciated. She works so hard & willing to try anything. Exercising: Pilates & walking. Docs tell her to eat “anything”. Thanks to you, Chris and many others, we know better! Sending you love. Robyn, I was diagnosed with melanoma on the head almost 2 years ago. After surgery (tumor and many lymph nodes extracted) and radiation they assured me that they got it all. I metastasized to my lung late last year and they started immunotherapy. This was a real shocker and since the biopsy I have done everything I have read about to help heal myself( flax/cottage cheese, lots of vitamins, plant based diet, essiac tincture, CBD oil, apricot seeds, purified water, some juicing). Is there anything that you know of that is tailored specifically for melanoma? I love your stuff! Thank you, Robin, for this loving helpful way to be a friend to someone who has chosen conventional treatment. I needed this information in the past and am glad I have this in my arsenal for the future. It hurts to see someone walking that path as one can see the handwriting on the wall. That is part of loving someone; however. Thank you so much for sharing this. My mother is going through chemo right now do to being diagnosed with breast cancer. I have finally got her to decide to start drinking green juice and smoothies as a way to help regain her health. Thank you for your comments Ivory. We’re doing our best to share the alternative options and glad you can pass this info along to others! Wow, THS article touched my heat, because there are many friends and love ones I’ve known that has died from cancer. Had I know this, I know some of them would have taking this holistic approach. I hope never to be Dx with cancer, however, I will keep this information handy, just in case. Thank you for sharing. Just read your post with interest. After a couple of not great meetings with2 oncologists after a dx of breast cancer, i too went the alternative route and did much research. I did Chris Wark’s program, read Cancer tutor, took supplements suggested by the Greek oncoblast test, went to the Biomedical clinic in Mexico, changed my diet and stress load, meditated, got on the Rife Machine , had the Bob Beck protocols did the Cellect Budwig diet , juiced did IVVitamin C and other things as well ….not all at once….I changed it up. As well I did the cancer test at the Navarro Clinic ….it looked like things were improving, until I found it difficult to walk. I was then diagnosed with metatastic breast cancer and I had a bad case of lymphodema. It was now in my bones. Enter another oncologist who recommended one chemotherapy and some immunotherapy . I did 6 rounds of chemo after about 2 rounds the lymphodema went down and I started to walk again. Three months later , I walk my dog a couple of kilometres everyday and I swim about 1 k a few times a week. I had no nausea and often went out for dinner after the treatmentsMy oncologist considers this a chronic disease. Fortunately I live in Canada and oncologists are salaried and get no benefit for putting their patients on chemotherapy. I have a new normal now but my quality of life is amazing …. Thank you for sharing your intimate journey with cancer and the approaches that brought you success. We are cheering for you and your new healthier, more vibrant life! Best wishes for continued great health! Can I say something please to anyone with cancer issues read up on everything. Chris yes you changed your eating habits and lifestyle but you had surgery to remove the cancer. Quick note my dad had big chink of his lung removed due to cancer. No radiation or chemotherapy that was 7 years ago when he was 78 hes doing great. Now my wife had thyroid cancer 6 years ago removed both thyroid glands no chemo but did 131 iodine radation just one pill. Also my wife was diagnosed with grade 4 meddulablastoma brain cancer in October 2017 she was told inoperable in Spokane wa. We went to Seattle wa they removed all of it. She just finished up 6 weeks of radation and 16 months of chemotherapy. Yes changing your diet and making better lifestyle choices is a great thing but what you dont talk about is how many people went your route vs traditional medicine that have died ? Which is alot I’ve seen the reports I’m not knocking better diets or better lifestyle everyone should cancer or not. Eat organic look what round up pesticides are doing to people. Everyone who gets diagnosed should know the dont if your doctor doesnt tell you then educate yourself. We all know sugar feeds cancer this is basic information anyone can look up . What I dont understand is your profiting off the same people your saying doctors cant bill them for ? My wife got nutritionist from her oncologist. My wife got told about alot of things she could do to help. I reached out to chris with colon cancer only thing I got back was buy my book. Which again not knocking this guy but surgery killed his cancer not diet alone. Yes other countries have differnt methods then us and they do work I’ve seen them work but traditional medicine can work as well. Hi Brian, I can appreciate your insight on your experience with cancer in your family. Chris Wark did have surgery but remember, he had metastatic Colon Cancer Stage IIIc. The cancer had spread and although his 5 yr survival was dismal without chemo and radiation, he decided to heal the rest of his cancer through nutrition. His Square 1 Program encompasses the whole body from nutrition, supplements, exercise, spirituality, forgiveness etc. I am glad your wife received nutrition consultation from her oncologist, but unfortunately not very many oncologists even recommend a diet change. They say diet doesn’t matter. Chris welcomes all folks who want to prevent cancer or heal from cancer. Many folks in his support group have chosen to do chemo and radiation and many have not. Chris supports them all. I am part of his support group so I can tell you first hand that Chris is a kind, generous man and accepts all decisions that his followers have made for themselves. He’s there to guide them. Yes, there is a cost for his program but it takes a lot of money to produce the videos and pay his support staff. Best wishes to you and your family.